Fears over slowing global growth hammered stocks in the US and Europe on Friday and lifted prices of government bonds and other assets seen as safer bets. The selling pushed down major stock indexes in Germany, France and Britain before spreading to the US. 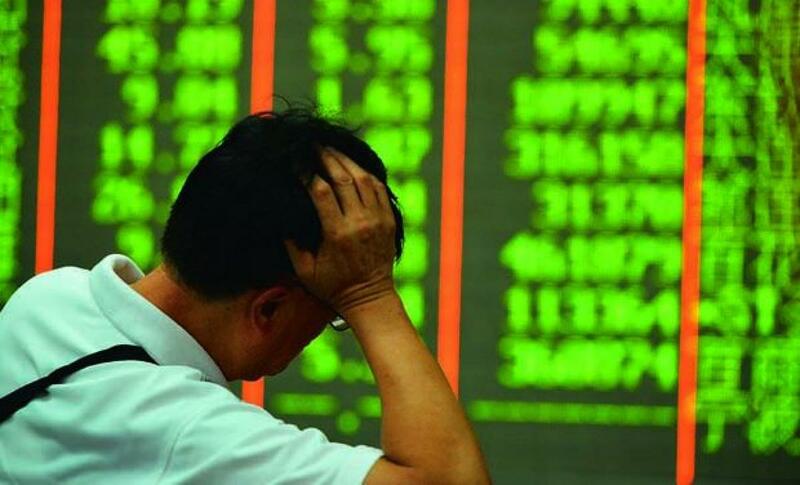 The Standard and Poor's 500 index slumped to its biggest loss in more than two weeks as all 10 industry sectors of the broad market gauge fell. Energy companies dropped the most as oil plunged. The stock sell-off came a day after the Federal Reserve decided to hold interest rates near zero. That means borrowing costs will remain low for a while yet, a prospect that has in the past typically boosted stocks. But some investors, expecting the Fed would be confident enough to nudge rates up by at least a quarter of a point, interpreted the stance as a sign that the global economy is dangerously weak. "If growth in the strongest economy - the United States - isn't strong enough to raise rates even a quarter of a point, what does that say about the prospects for global growth?" said Bill Strazzullo, chief strategist at market research firm Bell Curve Trading. The Fed has kept its benchmark rate close to zero for almost seven years. In that time, US stocks have nearly tripled from their financial crisis low. The Fed meets again next month and in December. The Dow Jones industrial average ended down 290.16 points, or 1.7 per cent, to 16,384.58. The S&P 500 slumped 32.17 points, or 1.6 per cent, to 1,958.03 and the Nasdaq composite shed 66.72 points, or 1.4 percent, to 4,827.23. Bonds rallied as investors sought safety. The benchmark 10-year Treasury note gained, pushing down its yield to 2.13 per cent. Gold also gained. A gauge of investor fear, the VIX index, shot up 7 per cent to 23. In early July, this measure of expected swings in stock prices was 12. In its rate decision Thursday, the Fed cited low inflation, weakness in the global economy and unsettled financial markets. Investors have been on edge about a slowdown in China and other emerging market nations since last month. The S&P 500 index is down about 8 percent from its record close of 2,130.82 set in May. UBS strategist Julian Emanuel said a mix of other factors may have also fed the selling Friday. Investors are worried about third-quarter corporate earnings, which are forecast to drop 4 percent for companies in the S&P 500. Also, several dozen House Republicans have said they won't vote for a funding bill that includes money for Planned Parenthood, raising the specter of a government shutdown next month. "When you add up the Fed, China, the cloudy earnings outlook and, and possibly of government shutdown, it's not a surprise that the market has had a defensive reaction," Emanuel said. In Europe, Germany's DAX fell 3.1 per cent while the CAC-40 in France dropped 2.6 per cent. Britain's FTSE 100 ended the day 1.3 per cent lower. Among U.S. stocks making big moves, JPMorgan Chase fell $1.71, or 2.7 per cent, to $60.94 as investors judged that lower interest rates for longer mean banks won't be able charge more for loans. Citigroup slumped $1.36, or 2.6 percent, $50.29. La Quinta plunged $2.92, or 15 per cent, to $16.05 after the hotel company announced late Thursday that its CEO Wayne Goldberg had stepped down after almost a decade in charge. The company also lowered its 2015 sales forecast due to weak demand in August and September. In metals trading, the price of gold rose $20.80 to $1,137 an ounce. Silver climbed 17.9 cents to $15.16 an ounce and Copper fell 6.6 cents to $2.39 per pound. The price of oil plunged over concerns that demand for crude could weaken if the global economy slows. U.S. oil dropped $2.22, or 4.7 percent, to $44.68 per barrel. Brent crude, the global benchmark, fell $1.61, or 3.3 percent, to $47.47 per barrel in London. Wholesale gasoline fell 2 cents to $1.356 per gallon. Heating oil slipped 3.9 cents to $1.491 per gallon. Natural gas fell 4.7 cents to $2.605 per 1,000 cubic feet.